Agricola Redesign | Getting Your Outdoor Living Space Ready for Summer! 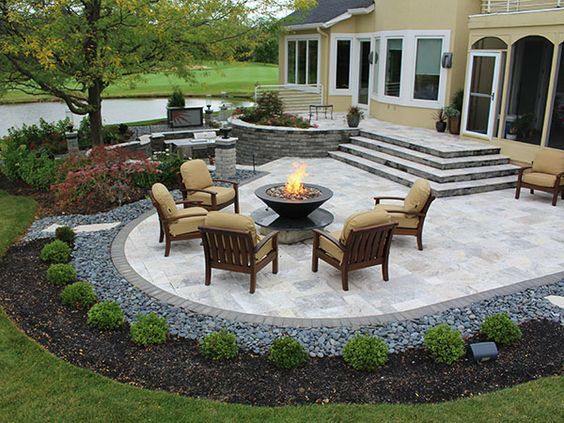 Getting Your Outdoor Living Space Ready for Summer! Once the year’s warmer months roll around the front porch and back patio becomes the most popular place for families to gather and relax. Before you can actually enjoy either of these spaces, though, you probably need to get them spruced up! You likely don’t pay much attention or offer these areas much love during the winter, so we’re here to help you get these beloved spots ready for the swarm of people who are ready to enjoy a cold drink and create fun family memories! Whether you’ve got a porch or a back patio, think about including an old-fashioned porch swing or glider! A swing is a comfortable and beautiful addition to any porch or patio. But don’t forget to add some comfortable pillows. Don’t forget to set some nice outdoor tables next to the swing or glider so they can rest their thirst-quenching glass of lemonade. Another popular idea that we love is a patriotic-themed patio or porch with bunting and, of course, tons of flower pots done in red, white, and blue. Who doesn’t love to celebrate the great country we live in with some homage to it on the porch or back patio? Plus, you’ll love to sit there on the Fourth of July to watch the fireworks go off with your loved ones. One thing we’re super obsessed with this year is cafe lighting. It’s the perfect mood-setting light that will let you sit out at night without creating too much light pollution and hurting your eyes. You’ll have the perfect ambience to sit back, maybe around a fire, and tell stories, roast s’mores, or just enjoy the look of the stars.